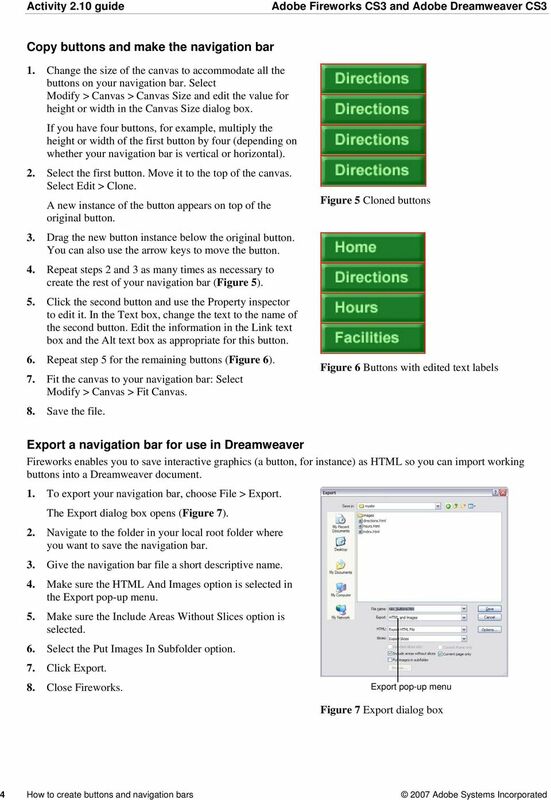 Download "How to create buttons and navigation bars"
Irfanview: Image Editing With Irfanview. Resizing Images. 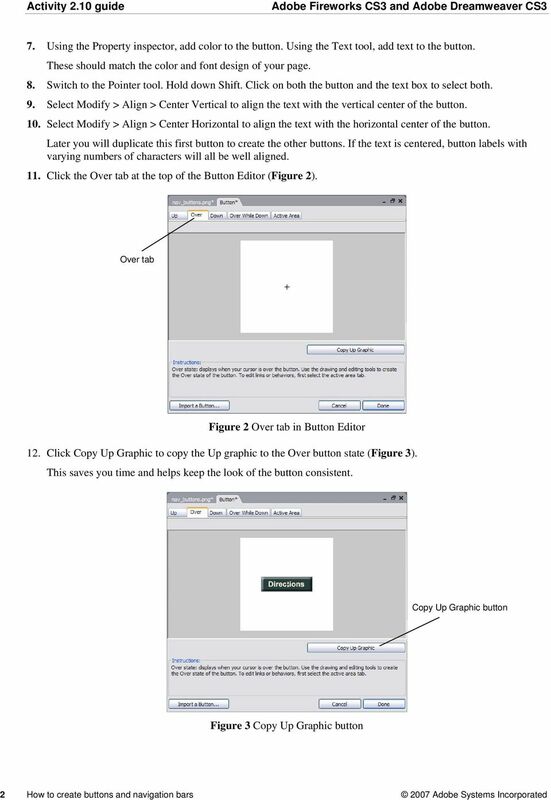 The following section explains how to resize an image from its original size. 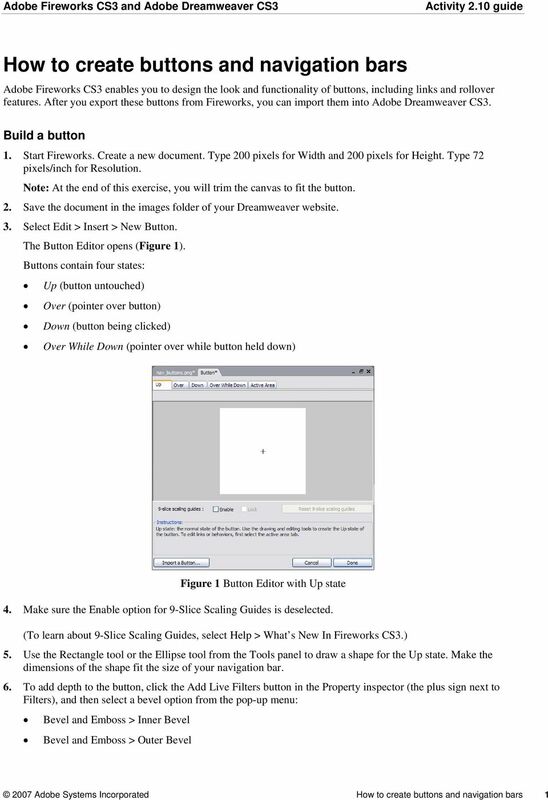 Irfanview: Image Editing With Irfanview Resizing Images The following section explains how to resize an image from its original size. 1. Open the IrfanView application from your computer. Irfanview opens. Email Basics. a. Click the arrow to the right of the Options button, and then click Bcc. Using Acrobat Comment and Markup tools In Adobe Acrobat 9 and Adobe Reader, a comment is a note, highlight, stamp, or any other markup you add to your PDF document by using the comment and markup tools. Creating Charts and Graphs with Adobe Illustrator CS6 This manual will go through the steps for creating charts and graphs using various techniques, as well as how to customize the look of these graphics. Text Putting Text on the Page 1. 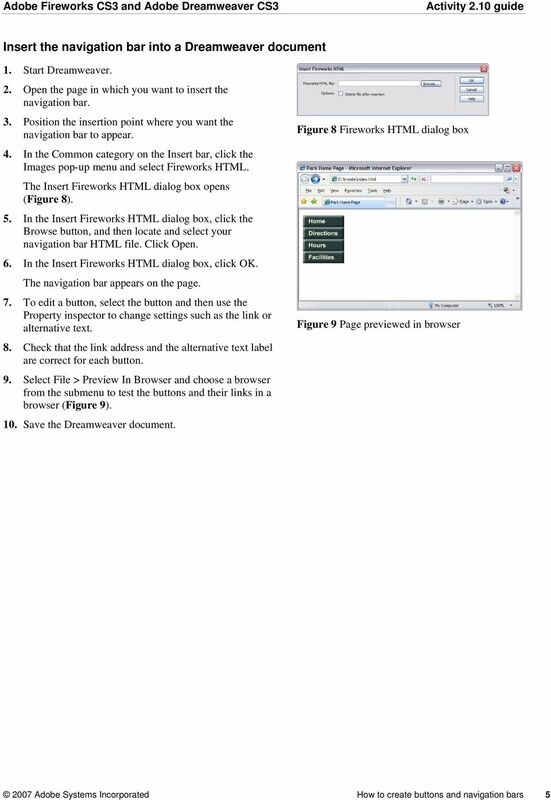 Entering text on the web page is just like typing in a word processing document. Lines will wrap within a paragraph. 2. Enter = Paragraph Break (leaves a blank line) 3. ADOBE PHOTOSHOP CS3. EXERCISE 1. Remove an Object from an Image. 1. Open Photoshop. Done. Click Done to close the Capture Preview window.